I was watching a bird trying to get a little stick into a hole in a tree, and she kept trying and trying but the stem or small stick was too big to fit into the opening, so wisely, she stopped, and while perched on the edge of the hole, she simply inserted the small stick into the nest lengthwise. At first, she (or he) kept trying to do what didn’t work until finally, she eliminated the obvious. Now she had learned that it takes less effort to get the stick into the nest if you stop and think about it. 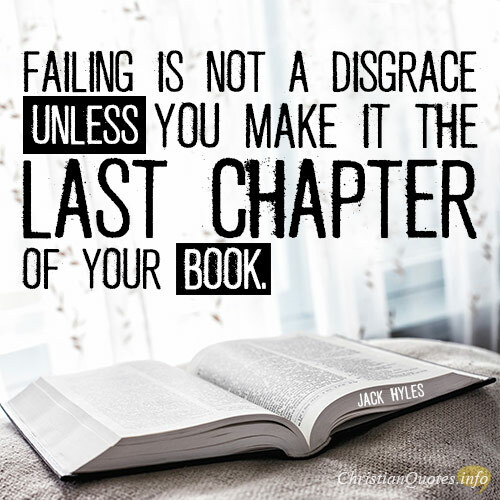 Those who fail and fail to learn from it, might be doomed to repeat it, however failure is often the way to success. Earlier we read about the bird that kept trying what was obviously not working, and she kept on trying up to the point of exhaustion. Sometimes we are like that, aren’t we? We keep trying to put a square peg in a round hole and get frustrated and tired when it doesn’t fit. I know. I’ve done it. This too comes in handy because our miserable failures make us look outside of ourselves, and hopefully, look to God Who alone holds the formula of true success and the solution to our repeated failures. 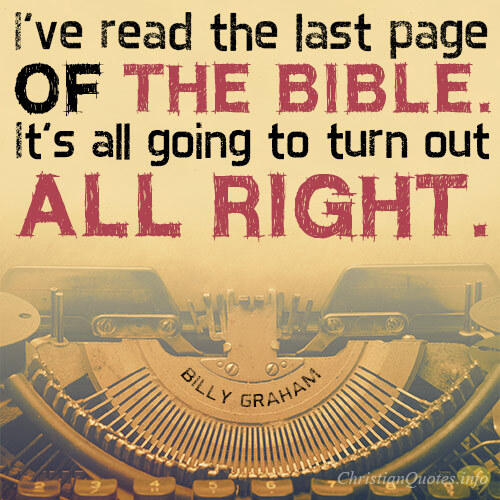 If we come to the end of ourselves, we are left only with God. 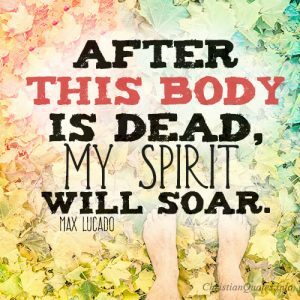 I hear some of the martyrs who are severely persecuted around the world and in many cases, all that they have is Christ, but they also discover, Christ is all they need. 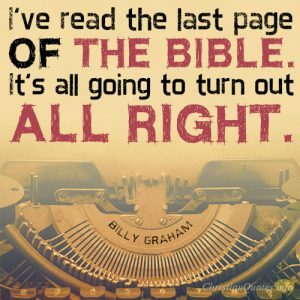 When we come to the end of ourselves and admit we need God’s help, we acknowledge, Christ is all we need. He knows our frustrations and failures and says to us, “Come to me, all who labor and are heavy laden, and I will give you rest. Take my yoke upon you, and learn from me, for I am gentle and lowly in heart, and you will find rest for your souls” (Matt 11:28-29). Seeking Jesus is God’s formula for the ultimate success; eternal life in Jesus Christ (John 3:16; Acts 4:12). 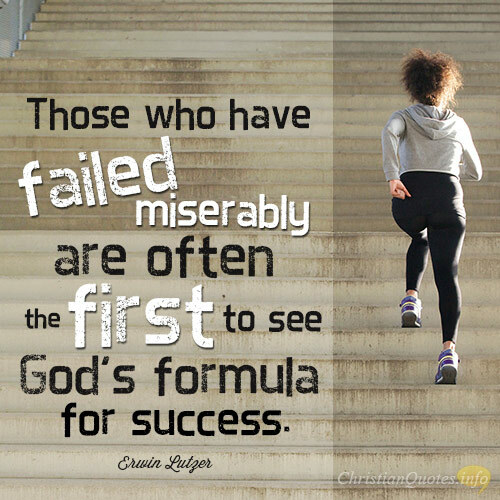 I love Dr. Lutzer and he is exactly right in saying, “Those who have failed miserably are often the first to see God’s formula for success.” Perhaps it’s because they eliminate the obvious and find out what doesn’t work, and then their failures make them more open to the things of God. It certainly helps to unload every burden because that’s not going to help us in finding God’s formula for success by carrying around a lot of weight we were never meant to carry in the first place.